This entry was posted in Short Stories and tagged Father Edmund Quinn, Father Michael Stafford, Ferguson's Falls, ghost of ferguson falls, ghosts of lanark county, history of ferguson falls, history roman catholic churches lanark county, jimmy phelan, jimmy whelan, lanark county, mississippi river ferguson falls, seven bachelors of drummond township, seven irish bachelors of ferguson falls, St. Patrick's Roman Catholic Church, stumble inn ferguson falls. I bought the log home directly beside the church last August. I was wondering if you had, or knew where to find the history of this house. I heard it was built in the 1830s by the Grey family, and has since then been a pub, and an art gallery. But I would like to get the whole history of the house. I have contacted my cousin Thomas who was raised just up the road from there and am awaiting his response. Is this church open for weddings? I am getting married in a couple of years and its a scottish/ Irish wedding and it would be great if it was. Hello Brian – I hadn’t heard of St. Patrick’s church being moved. My ancestors from County Wexford, Ireland attended St. Patrick’s, continuing down to my father who attended with his parents. 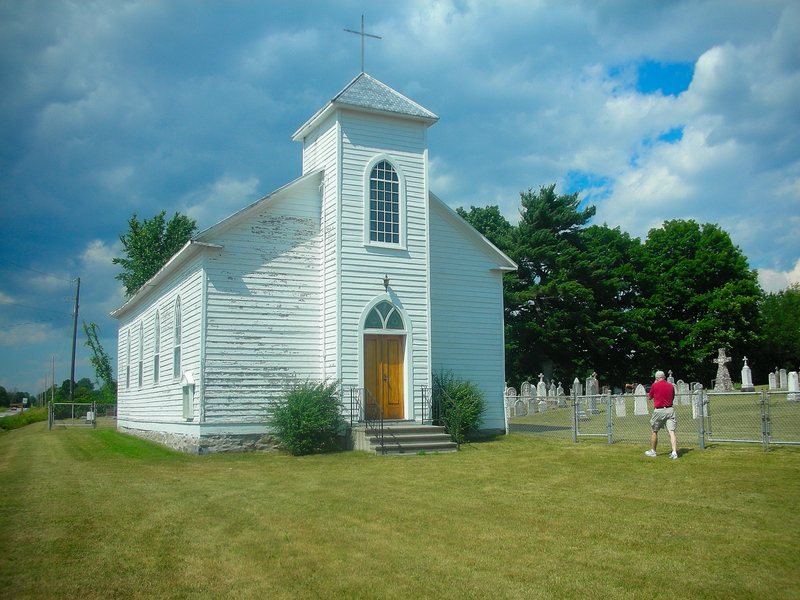 It was built on land donated by the Quinn family and was mainly to accommodate people who had been taking horse and buggy, or walking to St. John’s in Perth. Also, it would not have been in the same parish as Almonte. It was established under the same parish as St. John’s and later, under the same parish as Sacred Heart of Jesus in Lanark Village – a church which my grandfather helped to construct. Sacred Heart and St. Patrick’s were clustered in the same Archdiocese – which is located in Kingston, Ontario. The Staffords have a long history of service with the House of Providence within the Kingston Archdiocese, both nuns and priests. It might be helpful to contact the Kingston Archdiocese – 390 Palace Road, Kingston, Ontario, Canada, K7L 4T3, 613-548-4461, as they may be able to shed more light on this for you.